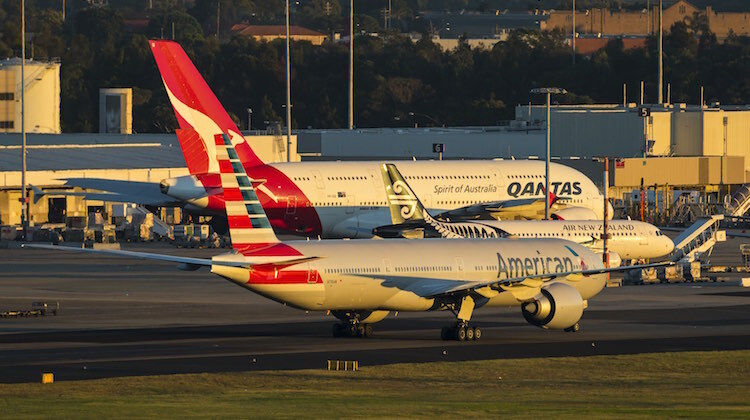 The United States Department of Transportation (DOT) has asked American Airlines and Qantas for more details on its proposed expanded alliance and joint-business agreement (JBA). The DOT said on Wednesday it had reviewed the pair’s application for antitrust immunity (ATI) that was lodged in February, as well as supporting confidential documents. However, it said the review indicated further information was required to “evaluate the joint applicants’ claims that their immunized joint business will deliver the public benefits claimed in this application”. The information requested included specific levels of service that the proposed joint business would provide; the extent to which antitrust immunity is necessary to achieve these benefits; discussion of codeshare plans; clarification on revenue share methodology and potential enhancements in yield management practices under a potential immunized joint venture; further explanation of expected consumer benefits; and financial performance data for existing flights. “When the additional evidence requested has been submitted, we expect to have all the necessary elements to determine that the record is substantially complete and to establish a procedural schedule,” the DOT said in its 19-page order. In February, American and Qantas submitted their application to the DOT expanded alliance with anti-trust immunity (ATI) on trans-Pacific routes. It was the pair’s second attempt to forge a closer relationship, coming 15 months after the DOT knocked back the first bid to work more closely together arguing it would harm competition and reduce consumer choice. 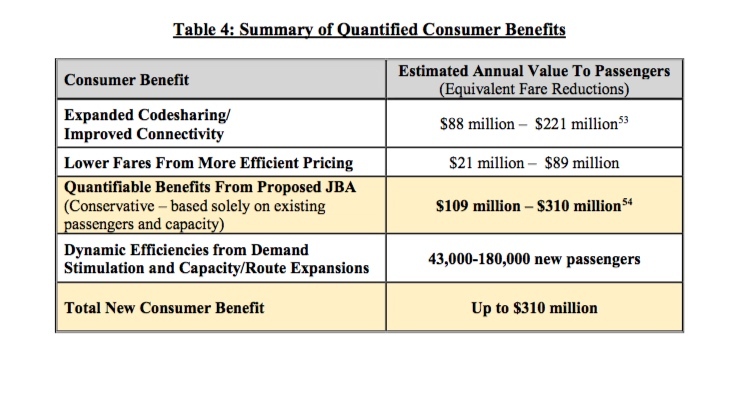 American and Qantas have forecast an estimated $310 million annually in incremental consumer benefits should the alliance be approved. However, the two carriers warned of the future of some trans-Pacific flights, such as Qantas’s Sydney-Dallas/Fort Worth and American’s Los Angeles-Sydney and Los Angeles-Auckland, was at risk should they not be able to form a deeper partnership. The application noted American’s Los Angeles to Sydney service has “consistently been unprofitable” even with limited Qantas support. 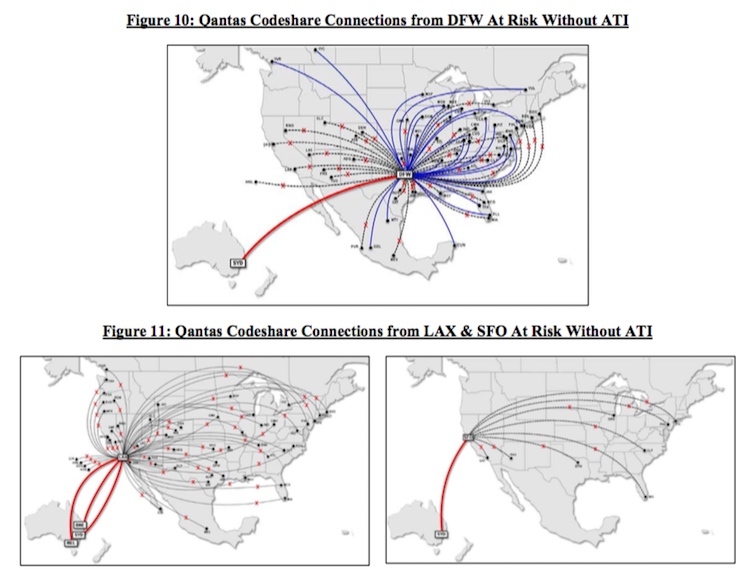 In response to the 2016 ruling, American and Qantas reduced cooperation through “economic necessity”, with Qantas removing its QF airline code from American’s Sydney-Los Angeles flight and American no longer codesharing on the Australian carrier’s Sydney-Dallas/Fort Worth and Sydney-Los Angeles services. American also downgauged its Sydney-Los Angeles flight from a Boeing 777-300ER to the smaller 787-9, while it switched Los Angeles-Auckland from a year-round to seasonal offering. 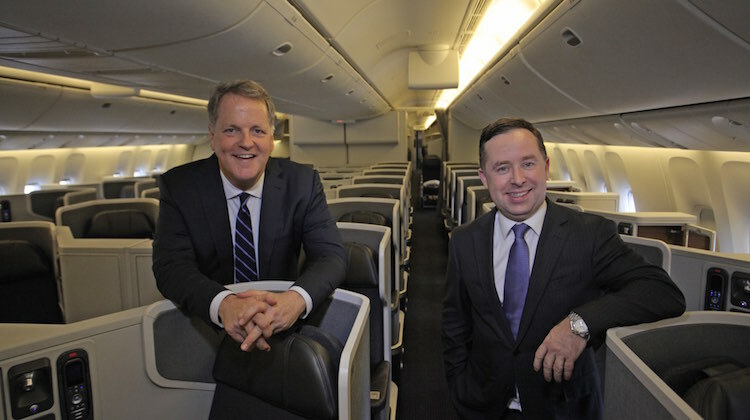 There were also cuts to frequent flyer earning rates on each other’s flights. In other Qantas news, the airline said on Friday it planned to add more flights from Sydney to Jakarta, Noumea and Singapore from December 2018. From December 13, Sydney-Jakarta will get an extra flight to go to six flights a week. The next day, Qantas is boosting its Sydney-Singapore schedule to 17 flights a week, up from 14 flights currently. The extra services will be flown with Airbus A330 equipment. Meanwhile, Qantas said it would operate four Sydney-Noumea flights a week from from 12 December 2018 with Boeing 737-800s. This is up from three flights a week at the moment.